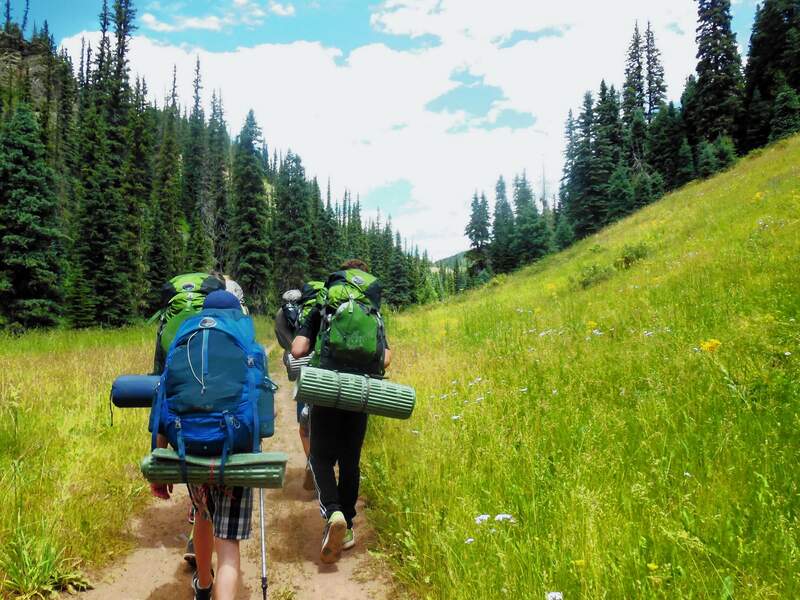 Teens backpack with San Juan Mountains Association in 2015. Whether you are new to the area, or have lived in the beautiful Four Corners for years, there is something new you can learn at one of the free programs sponsored by San Juan Mountains Association, San Juan National Forest and BLM Tres Rios Field Office this summer, led by the staff and volunteers of SJMA. These programs take place across all our local public lands, so read carefully for locations. A wonderful opportunity to learn about the natural world is with our Guided Nature Hikes at Purgatory Resort. These free hikes are led by knowledgeable naturalist volunteers who can tell you all about the geology, wildflowers, trees and animals that live in the San Juan Mountains. Come check it out from 9:45 a.m. to noon Tuesdays and Thursdays, June 6 through Aug. 17. No pre-registration is necessary – just come to the Purgatory ticket office with your appropriate footwear (closed-toe shoes are best), clothing (don’t forget your jacket – it can get cold and/or wet quickly in the mountains) and a willingness to learn something new! SJMA’s successful backpacking adventures will also continue this summer. From July 19 to 21, teens ages 13 to 17 will learn valuable backcountry skills as well as train to become Wilderness Information Specialists. This free trip is designed for all ability levels, but participants must be able to carry most of their own supplies. There will be side hike options, backcountry-skill lessons and time to splash in the creek! And if you already have your own family and would like to connect with other families while in the outdoors, come to our Family Backpacking Trip Aug. 5 and 6. Families with kids ages 6 and older are welcome to join us on this two-day, one-night trip. We’ll wander about two miles along a gorgeous mountain stream below towering peaks to a lovely camp. Are plants your thing? Butterflies and Blooms will be the topic of interest July 30 at a hike along Elbert Creek. Come learn about the current wildflower blooms and the fluttering insects that visit them. In August, edible plants will be the focus of a hike led by Katrina Blair of Turtle Lake Refuge from 5:30 to 7:30 p.m. Aug. 23. Finally, we get to the basics – the formation of the earth! Join MK on a hike at Highland Mary Lakes in Silverton and learn how glaciers shaped the landscape of the San Juan Mountains during the last ice age. This is a strenuous hike – come prepared to spend the day in the mountains on Sept. 17. Our website is always being updated with new programs and information, so check it out at sjma.org. Unless otherwise noted, to inquire about or register for the above programs, email mk@sjma.org. All programs are supported by San Juan National Forest and BLM Tres Rios Field Office. Thanks to all our amazing volunteers, without whom we couldn’t offer all these superb programs. Now, get out and learn something new on your public lands this summer!